Having a pet at home is a great thing because you have someone to take care of and get love in return at all times. It’s such a relaxing therapy to have a cat or a dog at home, who waits for you to come from work and play with them; it’s almost like a stress-buster. Maybe you are doing good with that beautiful playhouse you brought last year, and your pet still plays with it, or perhaps the ball that has been there with your cat for a long time. But are you doing enough for them? They say, playing with your pet is the best thing you can do to relieve stress; but how involved are you with them? Even if you wanted to, you cannot play with them all the time, and it would just not seem right to let them wait for your attention. 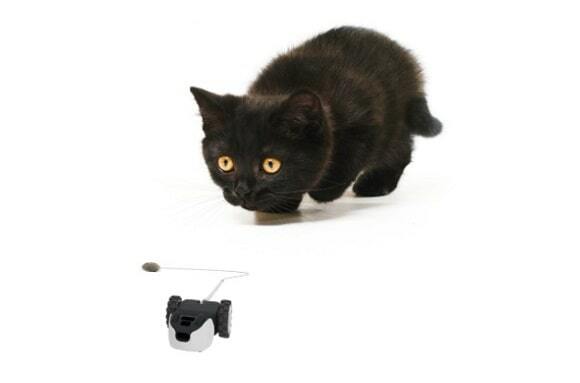 Well, here is a solution to your pet love: Petronics Mousr Interactive Robotic Cat Toy! It is one kind of a toy that can be controlled with remote control; but hold on, it’s not just a remote control toy for your cat. This amazing toy comes with automatic play strategies that can go with all kinds of cat-mood you have out there! Mousr allows free software updates to keep up with the current and new styles, so that your cat is in action all the time. The controller is super easy to use, and you don’t have to be an expert to drive it. You can sit comfortably in your couch or sofa, and get your cat playing happily with Mousr as per its mood. Also, the controller is pretty unique, because it lets you know the direction it’s facing so that you can play those hiding games and escape too, even when the Mousr is out of sight. Isn’t that a lot of fun for your cat? Previous post: Can You Record Live Streaming Videos?